Much of the world was shrouded in ice at various times during the Pleistocene, and during these Ice Ages temperatures everywhere fell, evaporation of the seas and lakes diminished, and so less rain fell. Other factors contributed to an increasing aridity, and by 30 000 years ago much of inland Australia had changed from lush rainforest to grassland and dry, open forest, followed later by the sandy deserts and salt lakes of the present day. The animals reacted to the drying up of the land in three different ways: some became extinct, some developed adaptations to the increasing aridity and were able to survive, and some continued to live in the higher, wetter and cooler highlands of eastern Australia and New Guinea. The wombats did all three. The giant wombats became extinct, along with most of the rest of the megafauna - the diprotodons and marsupial lions, the giant kangaroos and other outsize marsupials. 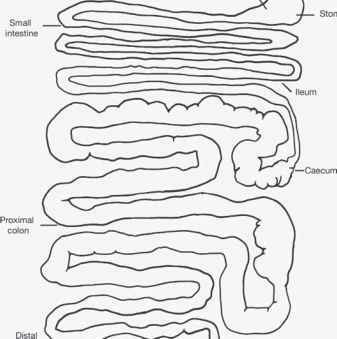 One of the most intensely cold and dry phases of the Pleistocene occurred between 25 000 and 15 000 years ago, and it was during this time that most of the giant mammals disappeared from the scene. Hunting and firing of the land by the Aborigines may also have contributed to their extinction. A species of wombat closely related and similar in size to the modern bare-nosed wombat, Vombatus ursinus, also became extinct during the late Pleistocene. Fossil remains of this species, Vombatus hacketti, have been found in the Mammoth Cave and Devil's Lair deposits in south-western Western Australia. The hairy-nosed wombats adapted to the increasing dryness, and their modern descendants live successfully in such semi-arid areas as the Nullarbor Plain. 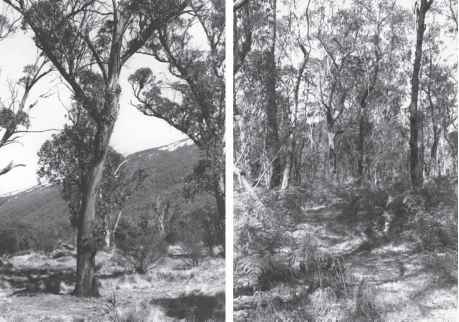 Figure 1.4 A mountain valley in the New South Wales high country (left) and a dry sclerophyll forest (right) - favoured habitats of the bare-nosed wombat. and moister habitat found in these forests (Figure 1.4). It would be unable to survive if exposed to the harsh way of life of its hairy-nosed relatives. The name 'common wombat' is misleading; this species is no longer common and its range is declining rapidly. Therefore I have chosen to use another of its names - bare-nosed wombat - for the remainder of this book. For the next 10 000 years or so all the 'modern' wombats flourished in their various chosen habitats. Although it is likely that they were hunted sporadically by the Aborigines for food, they were fortunate in that other animals, such as kangaroos and wallabies, were also present and easy to hunt, and that other small marsupials provided warmer furs. We may tend to think of Aborigines as desert people who wore very little, if any, clothing; but until Europeans arrived in this country, many Aborigines lived in the coastal areas and in the south of the continent where the chilly temperatures would make some kind of body covering most desirable. The skins of possums were the ones most commonly used by Aboriginal people as clothing, but wombat fur was used to make string. About 4000 years ago, the dingo arrived in Australia. We do not know whether it was brought in by immigrant Aborigines or came unaccompanied, but what is certain is that this efficient and specialised Asian predator had a lamentable effect on the marsupial fauna of mainland Australia. In particular, it is believed to have contributed to the annihilation of the thylacine on the mainland, partly by direct predation and partly by competition for food. By the time Captain Cook arrived in 1770 this, the largest surviving marsupial carnivore, was confined to Tasmania. The dingo never reached Tasmania because the rising sea-level at the end of the last Ice Age, which caused the separation of Tasmania from the mainland, occurred about 12 000 years ago, before the dingo's arrival. For wombats the arrival on the scene of this efficient hunter probably made little difference; undoubtedly the thylacine would have preyed on wombats, especially the very young and the very old, in just the same way as the dingo did, and still does today. The defensive tactics used against the thylacine would have been fairly effective against the dingo also, so the wombat simply exchanged one enemy for another as the dingo gradually replaced the thylacine.